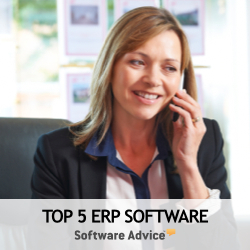 SAP is one of the most recognized and trusted brands within the enterprise resource planning (ERP) software industry. Having delivered SAP R/2 in 1979 and SAP R/3 in 1992, the company is one of the original vendors that defined the ERP software market. SAP was started by five IBM engineers in 1972 in exchange for 8% founders' stock. Today the German-based company retains the largest ERP market share of any software vendor; with the possible exception of Oracle depending upon how market share is calculated. SAP Business ByDesign is the company's software as a service (SaaS) offering targeted to small- and medium-size enterprises (SMEs). On September 19, 2007, a one-size-fits-all, subscription-based ERP system aimed at midmarket companies was released as the first SAP ERP SaaS product, previously code named A1S. After several troubled installations and a flawed go to market strategy, SAP pulled ByDesign from the market for a system revamp and significant code refactoring. Approximately three years later, Business ByDesign reemerged as a multi-tenant SaaS solution, complete with a new architecture, Silverlight presentation layer and PaaS tools for extensibility. As of December 2011, Business ByDesign was closing in on its first 1000 customer acquisitions and is available in Australia, Austria, Canada, China, France, Germany, India, Switzerland, the United Kingdom, and the United States. Though SAP ByDesign is targeted toward SMEs with 25+ users, the solution can be used by organizations with as few as 10 users. The ideal range is 25-500 users, but the cloud scalability should facilitate more users if required. Business ByDesign is also finding a place as a Tier 2 ERP solution—being installed at smaller line of business or geographically dispersed locations and integrated to parent companies using the SAP Business Suite. While Business ByDesign is the company's first back-office foray into the cloud, SAP has since also released cloud-based Line of Business applications. Sales OnDemand—an SFA application with strong social design—was released in July 2011 and is targeted at SAP ERP or Business Suite customers looking to extend their on-premise systems with add-on cloud components. Interestingly, the Line of Business applications were developed on the Business ByDesign framework, but don't integrate with Business ByDesign. Sales OnDemand only integrates with SAP ERP for back office business processes, so SAP customers seeking a complete software as a service CRM solution are limited to Business ByDesign.